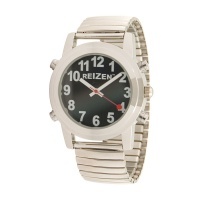 Mens Chrome Extra-Large Face Touch Talking Watch - Expansion Band - announces the time with just a touch of the watch face. 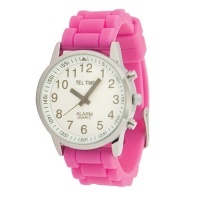 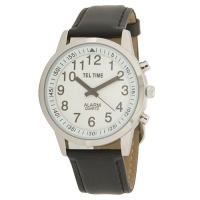 Mens Touch Talking Watch - Extra-Large Face - Leather Band - English - announces the time with just a touch of the watch face. 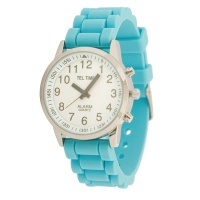 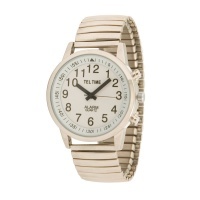 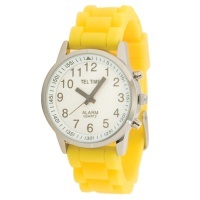 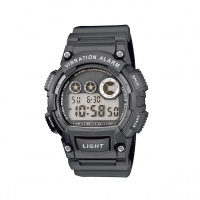 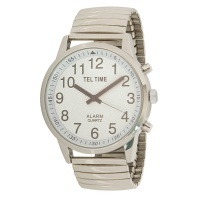 Mens Touch Talking Watch - Large Face - Expansion Band - English - announces the time with just a touch of the watch face. 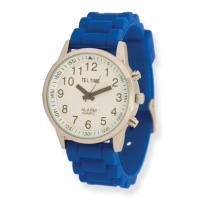 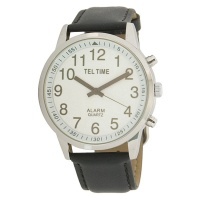 Mens Touch Talking Watch - Large Face - Leather Band - English - announces the time with just a touch of the watch face. 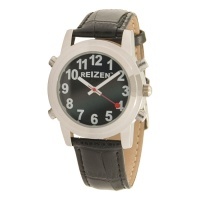 Reizen Talking Watch - Black Face - Expansion Band - Spanish - announces the time of day at the press of a button.